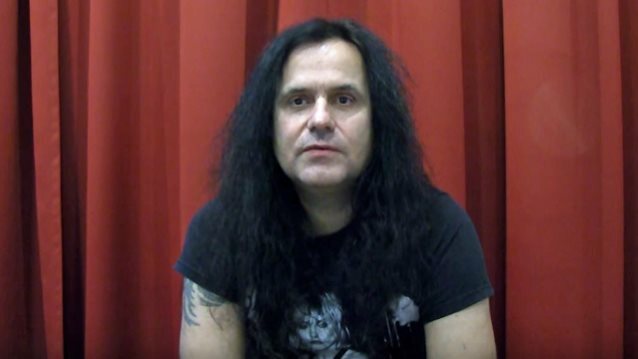 Finland's Kaaos TV conducted an interview with KREATOR guitarist/vocalist Mille Petrozza and guitarist Sami Yli-Sirniö on November 23 in Helsinki, Finland. You can now watch the chat below. 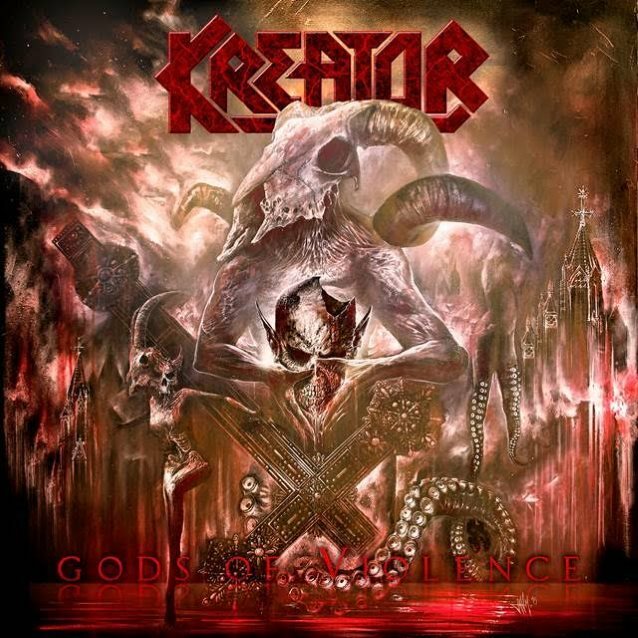 Asked how the songwriting process for KREATOR's new album, "Gods Of Violence", was different from that of the band's previous efforts, Mille said: "It's never the same. When I started writing the first songs in 2013, I just had to start somewhere, and the first song I wrote was the title track. And I took a lot of time in between. At one point, I wanted to schedule the rehearsals for the album [for] the beginning of 2015, but then I wasn't ready." He continued: "Every time we start writing, I ask everyone to send in ideas. Sami, he sent an intro part bit, and I was, like, 'It's okay for an intro, but why not make this a chorus part. Or this part maybe make this like a middle section.' So the creative process is always… Some things just happen while you go, so there's no formula." 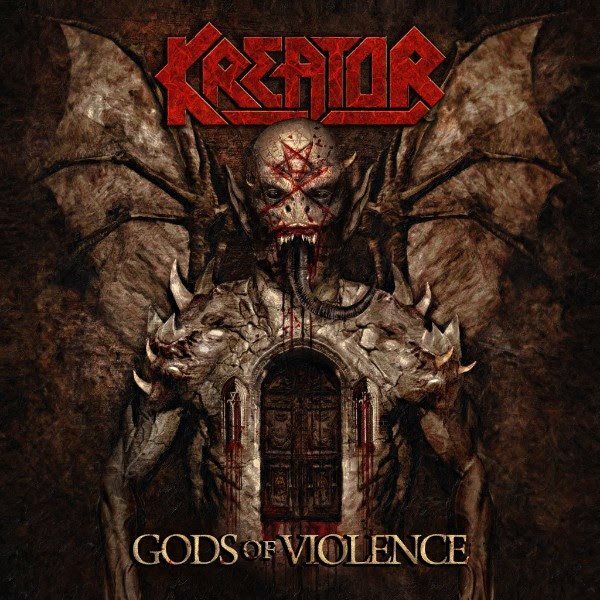 Pressed on whether the critical success of KREATOR's previous album, 2012's "Phantom Antichrist", contributed partly to the delay in getting "Gods Of Violence" completed, Mille said: "Maybe put it this way: we didn't wanna put out an album after 'Phantom Antichrist' that's just okay. So in order to be inspired, it was essential to take some time off and get away from touring, get away from being a musician in the sense of where you're just a touring musician that doesn't have a life and doesn't experience anything new. I think inspiration comes from things that you experience while you're on the road, because on the road, it can turn into a routine where you see a hotel room and the show itself. I mean, of course you get the energy from the audience, but it's a different form of energy. You're celebrating something that's already there. It's music that has already been written." "Gods Of Violence" will be released on January 27, 2017 via Nuclear Blast Records. The cover artwork for the disc was created by renowned artist Jan Meininghaus, who also made the limited-edition artwork for KREATOR's last album, 2012's "Phantom Antichrist", and has lent his talents to bands like BOLT THROWER, ACCEPT and OVERKILL in the past. The exclusive North American cover was created by renowned artist Marcelo Vasco, who has previously worked with SLAYER, MACHINE HEAD, SOULFLY and HATEBREED.